Have you ever heard a pig squeal? With a bag over it’s head and carried out of the home into the unknown, the pig will kick and struggle and you can hear it’s cry sounding all around the neighbourhood. The first time I heard it, I thought, ‘what the hell is that?’, but now the sound has become familiar and accepted, it’s a sign of a Cuban celebration; a birthday, Christmas, New Year. 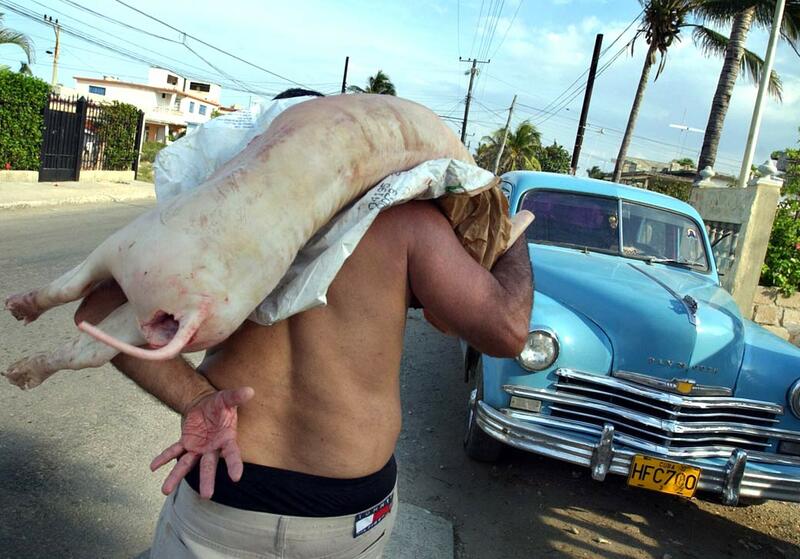 All year round Cubans will collect their scraps in a slosh bucket, ‘sancocho’, and it is someone’s job to come and collect it every few days to feed the pig in which they have a stake. Usually, family members will buy a piglet amongst themselves and feed it all year round ready for Christmas or New Year celebrations. Christmas in Trinidad, Cuba with the family usually means a family meal on Christmas Eve. As they are not very religious, Christmas Day is just like any other day, but New Year’s Eve is when the party begins, it’s a day-long fiesta!!!! 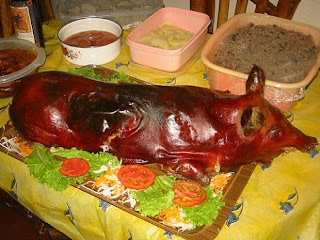 My New Year’s Eve experience in Trinidad, I arrived to find that the family had hired a beer pump with easy access to refreshing cold beer all day long, and the family pig roasting slowly in the garden. People from the neighbourhood & friends passing by all day long with warm wishes, and a quick drink to toast in the new-year; it was like Piccadilly Circus! Then the family would arrive and the feast would begin, by which time I was already feeling merry, and full from picking at food all-day long. There’s only so much beer I can take, so I crack open a bottle of rum and the dancing begins into the early hours of the new-year. Feliz Año Nuevo, amigos mios, I will miss you this year! What type of power converter should I take to Cuba? 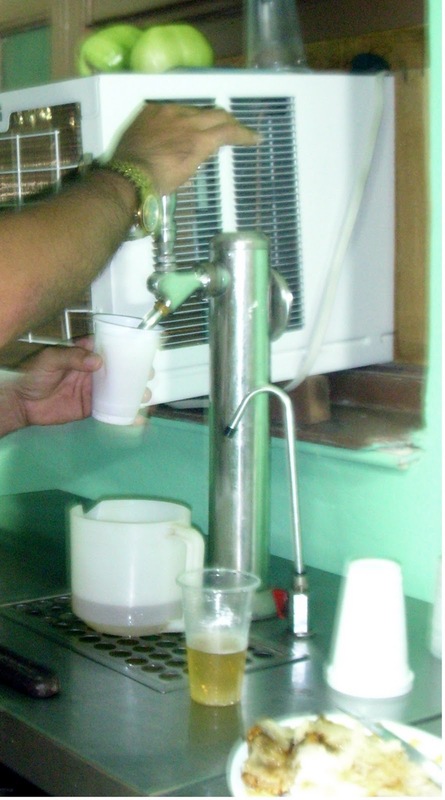 The voltage in most Casa Particulares in Cuba is 110V, but you may find that they have a secret outlet, connected to an air-con machine somewhere in the house which is 220V. Don't ask me how this works, I don't even understand it myself, but one time I had trouble charging an i-pod, it wouldn't charge in the socket in the bedroom, where I have charged countless numbers of mobile phones or cameras. How can this be? Just when you think you know how things work in Cuba, something comes along to test you. I took it to my family, and Gustavo unplugged the air-con unit in the bedroom and stuck the i-pod charger in it, and hey, it worked! Off course he tried to explain about voltages and the reason it wouldn't work in the other sockets in the house, but I had to admit, I couldn't get my head round it. I was just happy it worked. I've always been the kind of person that has tried to work things out on my own, refusing to ask for help. But if there is one thing I have learned during my travels, especially in Cuba, if you don't know, ask, it's definitely the best policy. In any case, coming from the UK or Central America, I usually take both a 2 pin flat head and a 2 pin round head adaptor and that usually works for most chargers that are coming from the UK. I take both as you never know, but mostly I have used the 2 pin flat head adaptor in most Casas in Cuba. Check out this information on Tripadvisor, but remember it mostly refers to hotel rooms and not Casa Particulares. 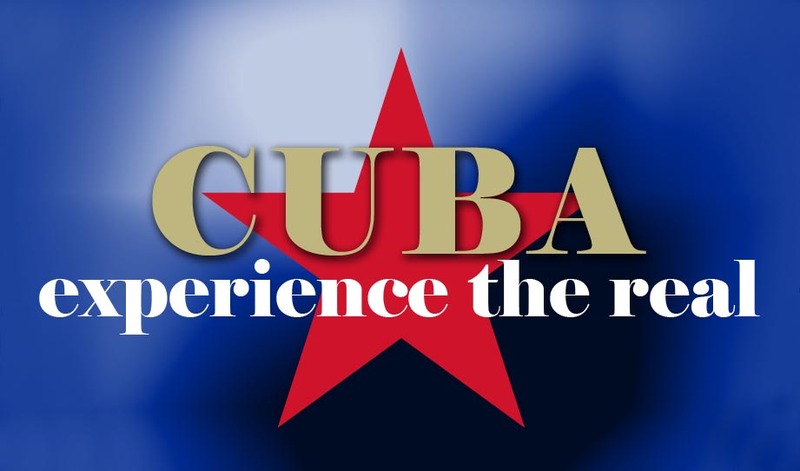 The guide will also walk you around some non-touristy areas of la Habana, talk to you about the most common scams of Cuba and how to avoid them etc, this will give you a good starting point and make your stay all the more enjoyable. Contact us for more details.